Digital staging allows home buyers to view the potential of prospective properties. 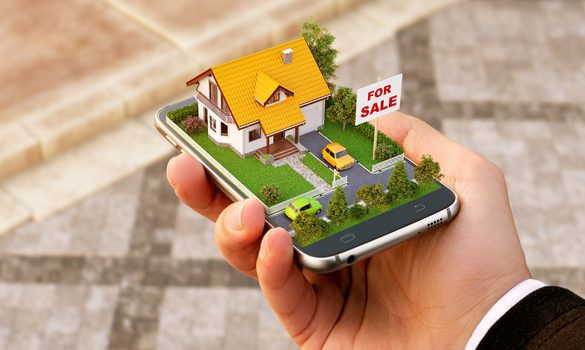 As a real estate agent, you could expedite your sales and also increase your sales prices with this technology. Potential home buyers can see what homes could look like rather than just imagine the possibilities. On top of that, digital staging is less expensive than actual staging. If done well, digital staging could give you the career boost you need. Read on to learn how to use digital staging real estate services to impress buyers. With digital staging real estate services, you can show potential home buyers the remodeling possibilities they have. Digital staging services allow you to alter bigger home features such as flooring. While this is extremely beneficial for showcasing a home, many home buyers need more than just a flooring swap to be sold. That’s where the best digital staging services come in. On top of the bigger features, they also allow real estate agents to make changes to smaller features like cabinets and countertops. Ask each family you are working with what their ideal kitchen looks like. Then, create it for them in the home you are trying to sell. They are much more likely to make an offer fast. You will impress them and, as a result, boost your sales rate through digital remodeling. Another way to impress buyers with digital staging is to furnish to their liking. There is nothing worse than showcasing a home that is furnished poorly. Unfortunately, you cannot alter the current homeowner’s style. However, you can alter the home’s style online with virtual staging. You can remove existing furniture and replace it with furniture that meets the needs of potential buyers. Place anything from a new table in the dining room to new home office furniture in the spare bedroom in a home. Inquire about each family’s style preferences. Transfer the information over to the designers behind the virtual staging service screens. They will take care of the rest and expedite your sales. In order to make the most of digital staging real estate services, you need to get professional photos taken. After all, potential home buyers will be less impressed by the technology if the photos look like they were taken on an old flip phone. Many digital staging software solutions provide photo services within their market areas. Since they can make their photos fit perfectly into their own systems, it is a good option when available. If the service you choose does not offer photography sessions, hire a professional photographer. That way, you can ensure that the homes you are staging online look high quality so you can increase your sales. When using digital staging software, it is important to include floor plans. Even with virtual 360-degree showcasing, buyers want to visualize how the rooms of a house flow with one another. The only way to allow buyers to do so is by showing floor plans. Buyers who look at homes online often disregard listings that do not show floor plans. To beat out competition, use the features digital staging services offer to enhance your floor plans. Portray large pieces of furniture in each room. That way, buyers can gain a better understanding of how their belongings will fit into their house as a whole. A buyer who works from home can implement home office decorating ideas more accurately. Digital staging cannot increase your profits without floor plans. Finally, let potential home buyers alter the homes you are trying to sell themselves. Some digital staging services assist real estate agents in creating single property websites. On them, you can showcase a house both with and without furniture. Furthermore, you can provide options for potential buyers to rearrange furniture and make changes they please. In doing so, you allow home buyers to make houses their own. They will be able to envision themselves living in a home when they place furniture in it according to their preferences. To guarantee success, find the best business web hosting solution. The offers will start flowing in if you take advantage of this digital staging real estate service feature. Digital staging real estate services take showcasing to a whole new level. By investing in a service, you gain the ability to show prospective buyers remodeling possibilities. You can also improve home furnishings through virtual staging, which gives the homes you are selling more appeal. To make the most of a digital staging service, get professional photos taken of each home. Include floor plans so buyers can envision how well rooms flow with one another. Lastly, give potential home buyers the option to make changes to homes online themselves. If you follow these tips, you can use digital staging real estate services to impress buyers.